Douglas has been infatuated with the recording process ever since he first discovered the cassette 4-track in 1992. 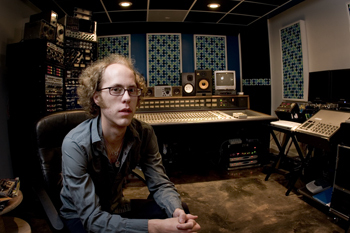 He began to recording local bands while also attending recording classes at Virginia Tech. After receiving his degree in interdisciplinary studies with minors in math, biology, and chemistry Douglas moved to Raleigh North Carolina. In Raleigh he interned at Osceola studios for 1 year, then became a staff engineer and remained at Osceola for 1 year. Douglas then movie to Austin, TX where he started a make-shift home studio which slowly evolved into what today, is The Still. The Still continues to attract some of the Austin's best talents as well as artists around the globe. Douglas is also an active musician, and performs in several bands in Austin as well as performing solo. Although Douglas typically performs rock & improv based ensembles, he has worked with all sorts of artists and projects. Randall Squires was born in New York, to a musical family and has been involved in the recording of music for the vast majority of his life. Throughout the years he has studied at The Manhattan School of Music in their Prep division, and at Berklee College of music. He has at one point or another played Violin, Cello, Acoustic & Electric Bass, French-Horn, as well as various forms of Percussion. Randall was Second Engineer at Infinite Studios in Alameda, CA where he worked on Projects with Giovanni Hidalgo, Pastor Walter Hawkins, E-40, Alan Tower & Free Energy, Melky Sedek (Wyclef's Sister & Brother) and many others. Here in Austin, he has been blessed with projects including My Education, The Asylum Street Spankers, Grimy Styles, Natalie James, Burro Magic, Pride Feat. Sean B. as well as live recordings for Spoon, and Mouse on Mars. All of this outlines his eclectic tastes in music, and an ability to switch gears between multiple genre's of music, and recording Settings (ask him about The Solar Studio). He is currently involved in Recording The United States Army Band with his father Greggory K. Squires, whom he has assisted many times. 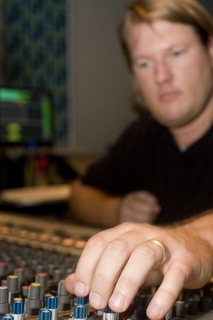 Randall realizes the scope, and intensity that encompasses the world of recording. Understands that every day is a new experience and opportuninty to learn, and rightly so is not afraid to get in over his head. recording engineer | music production | pro audio tech service | sound reinforcement | electronic music | electric guitar and bass | creative improvisation | circuit bending | experimental photography & visual art. born in Seattle; Austinite since 1999. ex-scientist (organic chemistry)." 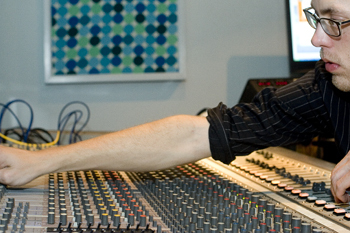 Thomas is a talented engineer/producer who has been professionally producing sound recordings since 1999. 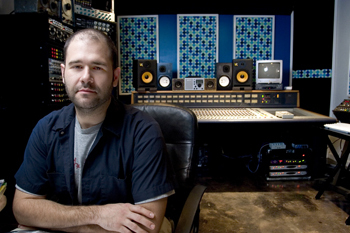 Many great players and talents have been through his modest home studio such as Austin's premier underground progressive pop band Grass, jam band deluxe Groovin' Ground, Fastball's number 1 hit writer Tony Scalzo, former Melvin bassist/producer Mark D, and hip hop artist Bavu Blakes (Mr. Blakes). 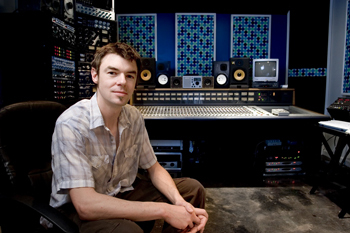 Thomas is well versed in tracking and mixing techniques, and works quickly and with great results. Classical, jazz, pop and rock recordings are all par for the course. Thomas currently divides his schedule between sound production for animation, location video/audio capture, projects in the Still and Tonehaus, and as a performing artist in the classical string quartet Hill Country Strings (violin), dEEp Edward (el. violin/sax), and the Adam Sultan Moment (sax). Thomas apprenticed mastering with Jim Wilson from Airshow Mastering, back when Jim had a studio in Austin.